Owning a Whitehaven Yacht is a customized, luxurious, and personal experience. This is what the team at Whitehaven hopes to achieve with every single hull designed and built. 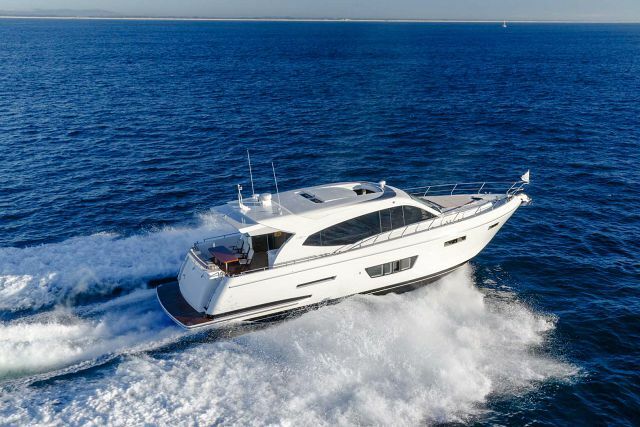 Founded by marine industry veteran Keith Hanson and purchased later by entrepreneur Bruce Scott, the company's philosophy of delivering a remarkable experience to every owner from sketch to sea has never wavered. Designed and built with Australian techniques and master craftsmanship, Whitehaven Yachts is able to achieve precisely what their owners ask for from the finish to the electronics to the comfort features that will enhance your time on the water. The factory boasts that every Whitehaven owner literally has a blank canvas to work from where everything from the yacht's layout to every detail can be customized. Customers work side-by-side with the team's designers to contruct exactly how they plan to use the yacht, under what conditions, and what attributes it may possibly need. Solutions are created and dreams are made. The end result is a reflection of the owner and is something that they can truly call their own. No other motor yacht brand is able to offer this level of personalization during the entire production process.